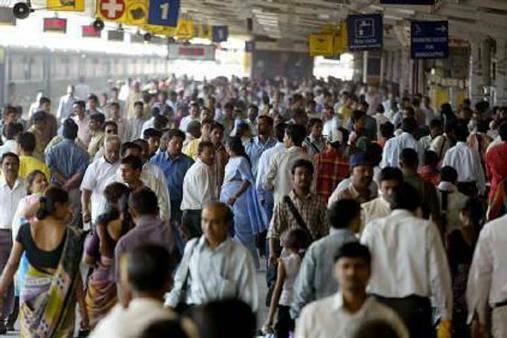 Many parts of India are experiencing a surge in population over the past few years. As more people come to settle in the country, it leaves many leaders and decision makers with questions. One of the most intriguing questions that comes to mind is: how will the population increase impact the country’s ability to provide efficient and necessary services to its citizens? Though the answer to this significant question ultimately depends on many factors, including financial resources, demands of the citizens for service in a particular area, and the topography of a given area, taking a look at the most common areas of impact can help leaders and decision makers make the best choices for their country as a whole. If the population surge has a lot to do with the increases in births within the country, it will be necessary for deciding officials to determine a means for education. They will need to assess the existing schools, the number of children they can properly educate, whether or not new services are needed (i.e. higher education, special needs, sports, or arts programs), and also how many educators they may need to hire. If the existing education structure won’t accommodate the growth in population, it becomes necessary for Indian officials to allocate the funds to accommodate the needs of children and young adults within their country. Providing adequate facilities for healthcare and treatment is essential to the country. It may be necessary to look at these factors as populations continue to increase. Officials should be looking at factors that include but are not limited to: how many hospitals are already in existence; how many trained medical providers they have on hand; the age of the new population (as older adults would require services like senior care, etc. ); and even the need for new infrastructure to develop innovative treatments and technologies. If there is a need for new healthcare or health related services, it will be necessary for decision makers to evaluate their resources and begin tapping into them to create the services needed. What buildings or space will be made available to develop more medical practices? What resources will they use to find physicians and medical professionals to meet the health needs of the increased population? One logistical factor involves biomedical transportation. Food and clean water are the bare necessities of life. To ensure that there isn’t a shortage of these resources during a surge in population, officials will need to assess various factors. For starters, they will need to determine how many households are expected. Depending on how many new residents are moving in, where existing water sources are, and the capacity of water systems, India may need to invest in the expansion of water lines throughout the country. Protection is another public service that will need to be improved upon with a significant population increase. The more citizens within any given locality, the more protection they will require. Things that need to be considered to determine if more law enforcement is needed will include the number of households being developed, the distance from the homes to local police (response time), and whether or not they have the space to house those who break the law. Water, housing, education, and protection are just a few of the types of public service that will need to be enhanced or increased when faced with an increase in population. Indian leaders should essentially review all of their resources and get an accurate account for potential growth in future years to make the most efficient decisions. Through careful planning and research, they can accommodate the needs of new citizens without compromising the needs of those who have lived in the country for years.